Do you homeschool? If you do, you'll love today's giveaway! Looking for resources, encouragement, and training for next school year? This giveaway has some great resources to get you started. We're giving away $600 in prizes. As you know, we are homeschooling our kids and we absolutely love it! It can be hard and it requires a lot of creativity and time on my part, but it is all worth it in the end and we love having our schooling revolve around real life. A year-long subscription to Lessontrek's lesson planning app (worth $60). Lessontrek is a better and modern web application for online lesson planning for the homeschool, private, and public school teacher. Lessontrek helps parents create lesson plans quickly and easily. In just a few minutes you can setup your school year and subjects, create lessons and assignments, record grades, and more. Their handy drag-and-drop system makes reordering lessons easy. Lesson trek is giving two Grand Prize winners a year subscription ($60 value for each). .
Young adults and children will be prepared to engage the culture for Christ with a biblical view of history, science and defending the faith. Through the lineup of dynamic speakers and practical sessions, you will be equipped to fulfill your great calling in life: making disciples of Jesus Christ – one child at a time. 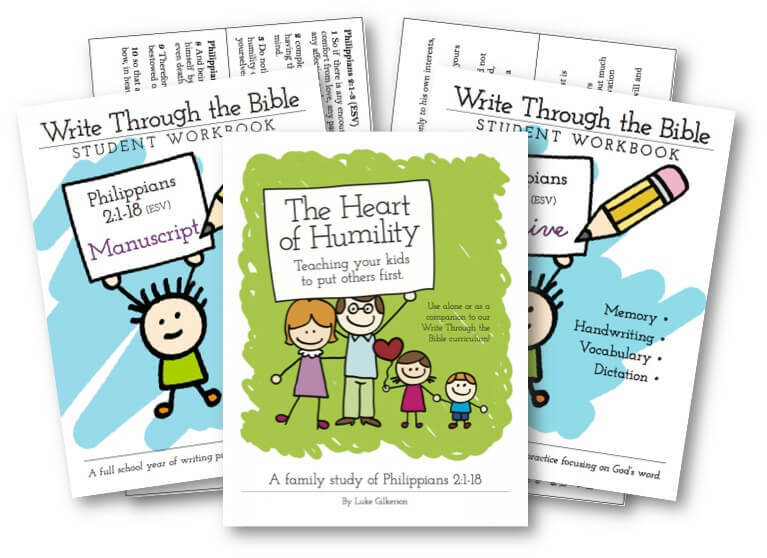 This bundle of resources is aimed at helping kids memorize and understand a longer text of Scripture—in this case, Philippians 2:1-18, the Apostle Paul's great hymn to Christ celebrating his incarnation, death, and exaltation. The bundle comes with two handwriting workbooks—print and cursive—which provide a year's worth of handwriting practice, vocabulary words, and dictation practice. The bundle also comes with a 30-day family Bible study and Scripture memory cards. All of these resources are centered on Philippians 2. Intoxicated On Life is giving 10 winners this family bundle, each one priced at $17.50. Giveaway runs from April 10 to 19. Enter below and don’t forget to share this great opportunity with your friends!